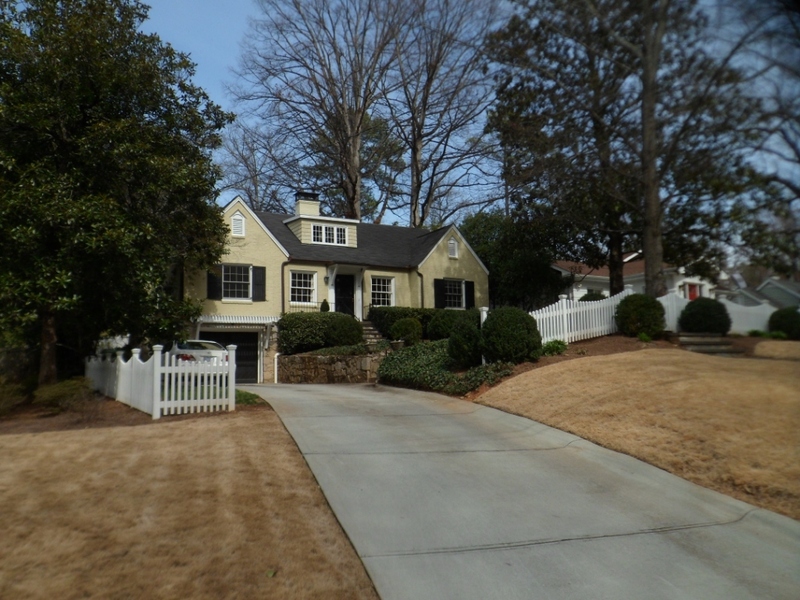 The Alberta Drive—Mathieson Drive—West Shadowlawn Avenue Historic District encompasses a neighborhood now commonly known as Buckhead Forest, located within the densely-developed triangle of land bounded by the busy thoroughfares of Peachtree, Piedmont, and Roswell roads. The district is significant as a representative example of middle-class garden suburbs that developed in Atlanta in the early 20th century. In 1907, the Georgia Railway and Electric Company extended its trolley line along Peachtree Road north to Buckhead and beyond into largely undeveloped land. This accessibility spurred a building boom of which the district is an extant example. Developed as four separate subdivisions between 1911 and 1945, the earliest development in the district reflects the characteristics of the streetcar suburb, while the subdivisions developed later reflect the influence of the automobile. With its rolling topography, curvilinear streets, and development pattern of sizable lots with homes set back from the street, the neighborhood achieves a “park-like setting,” the predominant national trend in early 20th-century suburban development. The district also includes a variety of popular house types and styles typical of middle-class suburban developments in the early to mid-20th century. The earliest extant house types in the district are bungalows and English Cottages. The later subdivisions contain English Cottages, American Small Houses, and ranch houses. Stylistic influences in the district include English Vernacular Revival, French Vernacular Revival, Craftsman, Colonial Revival, and Contemporary. While a few high-style examples exist within the district, a majority of the houses simply contain elements of those styles popular during the period of development. 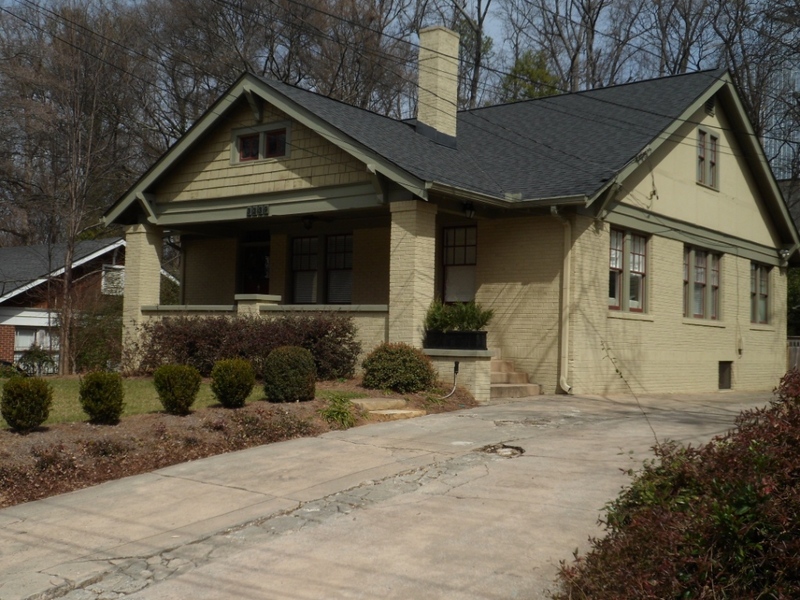 The design of at least one house in the district, located on West Shadowlawn Avenue, can be attributed to the Brick and Colonial Homes plan book of Leila Ross Wilburn (1885-1967), who was one of the South’s pioneer women architects establishing her own architectural practice in Atlanta in 1909. Wilburn designed homes for individuals and also published plan books for relatively small homes aimed at the middle-class family. The district also includes three mid-20th century apartment buildings along Mathieson Drive, reflecting a trend of multi-family housing construction in the Buckhead core during the period. The new housing stock was built to accommodate the rapid population increase Buckhead experienced after the end of WWII and the community’s annexation into the City of Atlanta in 1952.